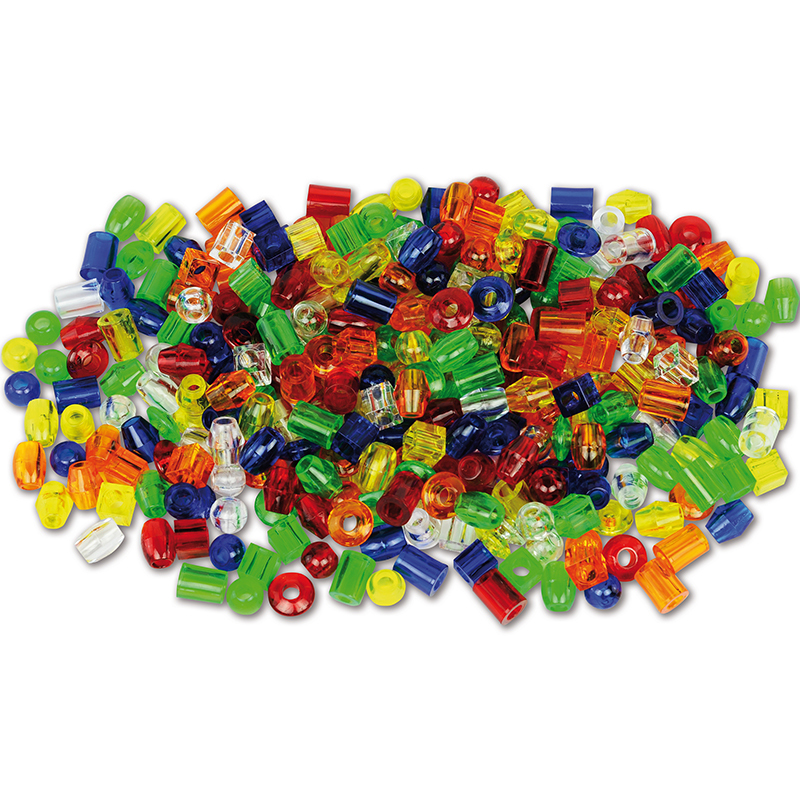 Pack of 180 translucent plastic lacing beads in 6 shapes and 6 colors with 12 laces measuring 23" each. Use for color and shape recognition, fine motor skills, pattern and sequencing, or sorting and counting. Sizes approximately .75" - 1.25". Packaged in a convenient plastic storage container. 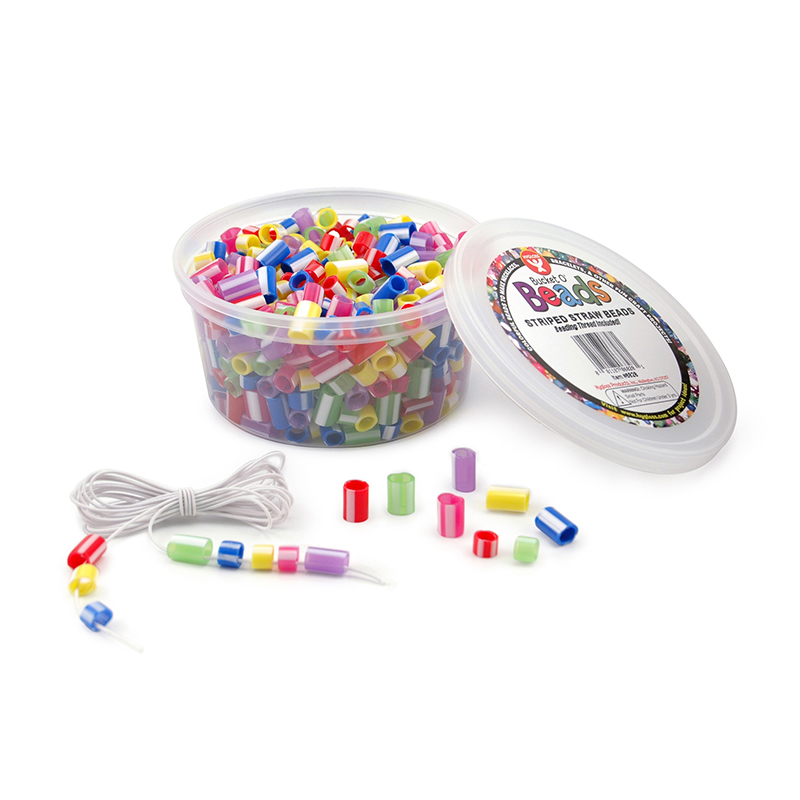 The Translucent Jumbo Lacing Beads can be found in our Beads product category within the Arts & Crafts.